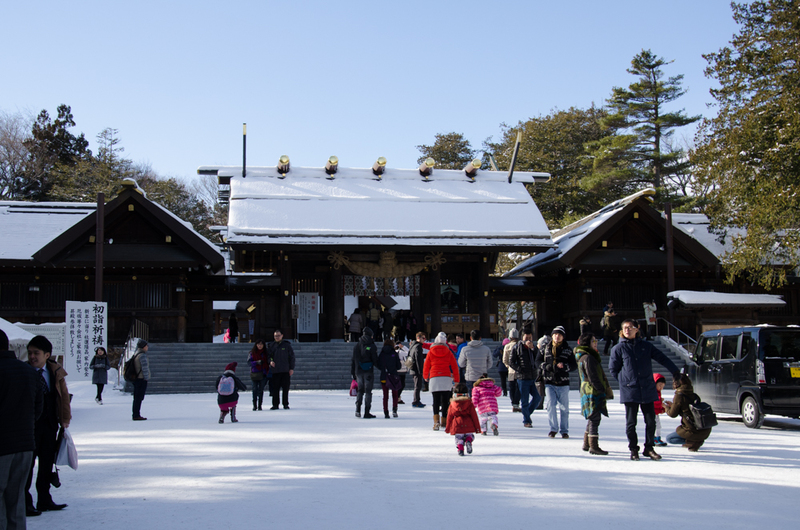 Hokkaido Jingu is one of the most famous sightseeing spots in Sapporo. 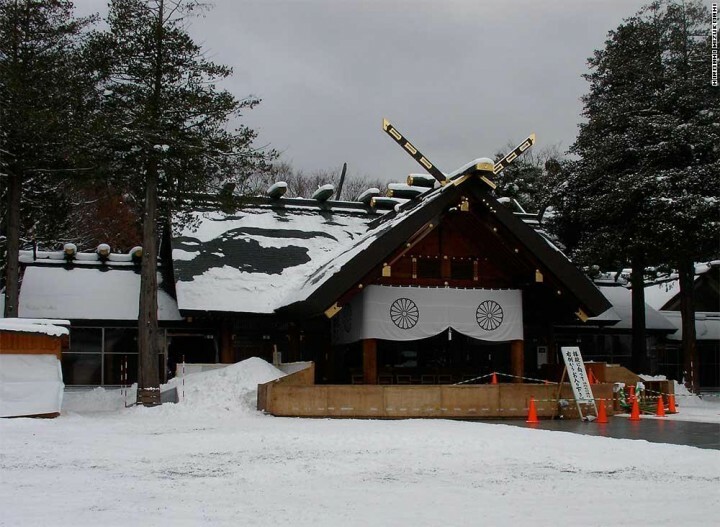 Hokkaido Jingu, Hokkaido Shrine is located at the west end of downtown Sapporo, called ‘Maruyama'(円山), a gently-sloping hill. When you go out from No.3 exit at Maruyama Kouen Station, you’ll see the entrance of Maruyama Park ahead across the road. Walking to the end of the path, an open space will appears. That is the front of the Shrine. First of all, you have to go left side, ‘Temizu-ya’. 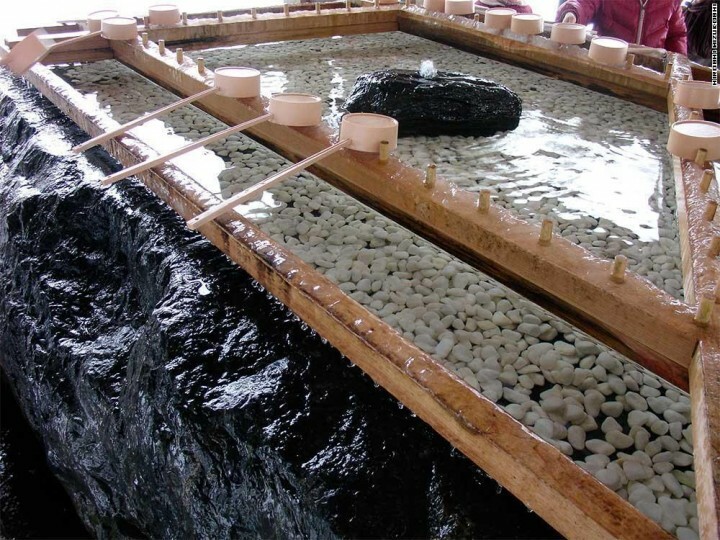 Not only for purifying your hands and mouth, but also your mind. Take a Tozai Line(東西線) to Maruyama Kouen(円山公園) and exit No2 at Maruyama Bus Terminal. Take a Tozai Line(東西線) to Maruyama Kouen(円山公園) . Take a ladle with right hand. Ladle water and wet your left hand. Don’t do this above the water-vessel. Ladle water with left hand and wet your right. Ladle water with right hand again and catch a dip with left hand. Take a dip in your mouth. No need to swallow it, just spit it out gently. Don’t touch ladle with your mouth. Ladle water again with right hand and wet your left hand again. That’s it. Good job! Now you’re completely purified. This manner is a kind of pretend as your body and mind are washed and pure. 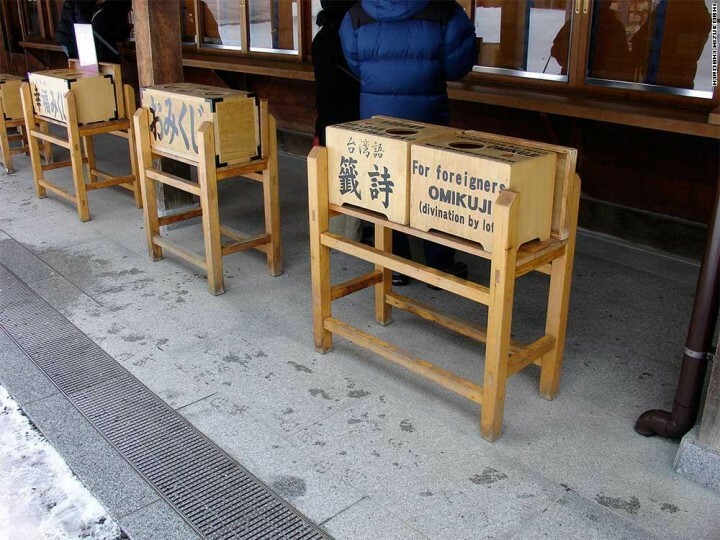 Even if in the winter, you’re supposed to do ‘Purify’ before worship. 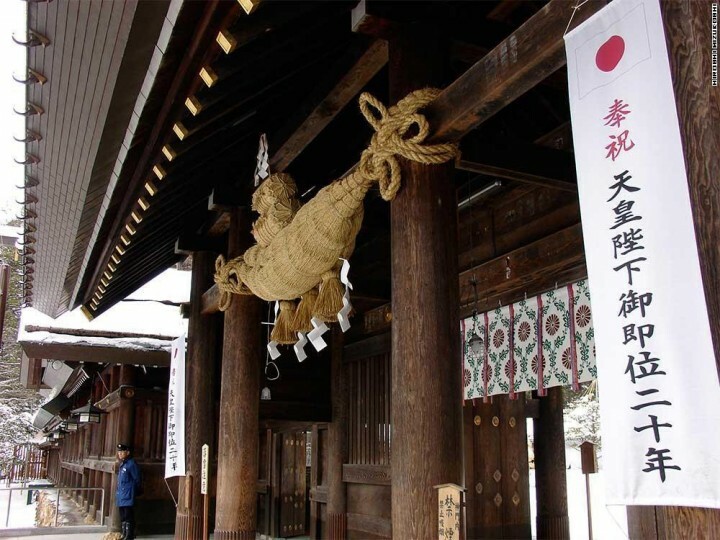 A big straw rope, ‘Shime-nawa’ indicates there is a sacred area behind the rope, where deities reside. 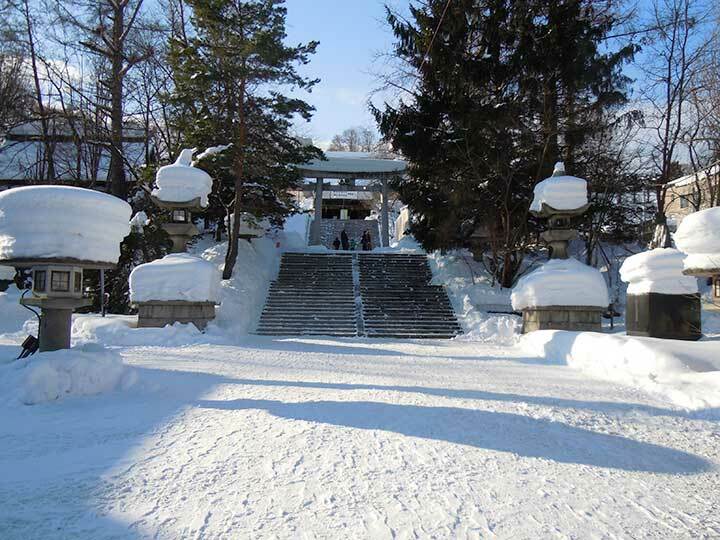 Hokkaido Jingu, Hokkaido Shrine was built in 1871 named as Sapporo Jinjya(Shrine). There are three deities worshiped at that time. 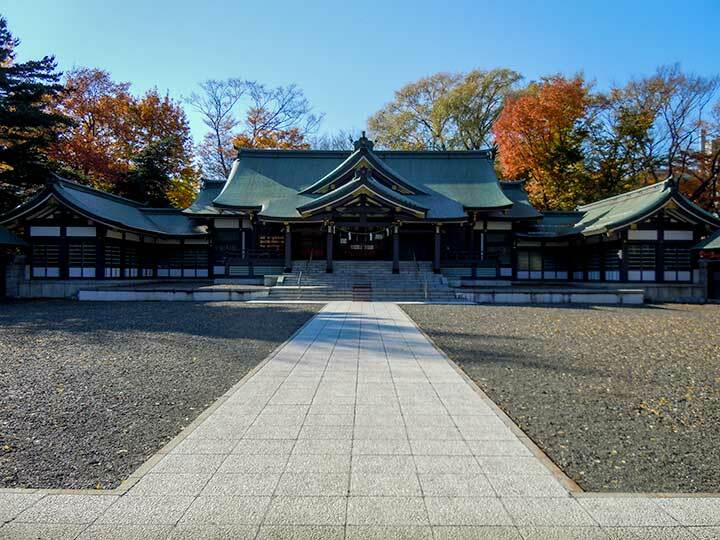 The Shrine was renamed Hokkaido Jingu(Shrine) in 1964 because the Emperor Meiji was enshrined as a deity. The Emperor Meiji had named Hokkaido instead of Ezo for ruling the northernmost island of Japan in the Meiji period. Unfortunately, The main building of the shrine was burned down in 1974. Somebody set fire and the case has been unsolved. The Shrine was rebuild in 1978. 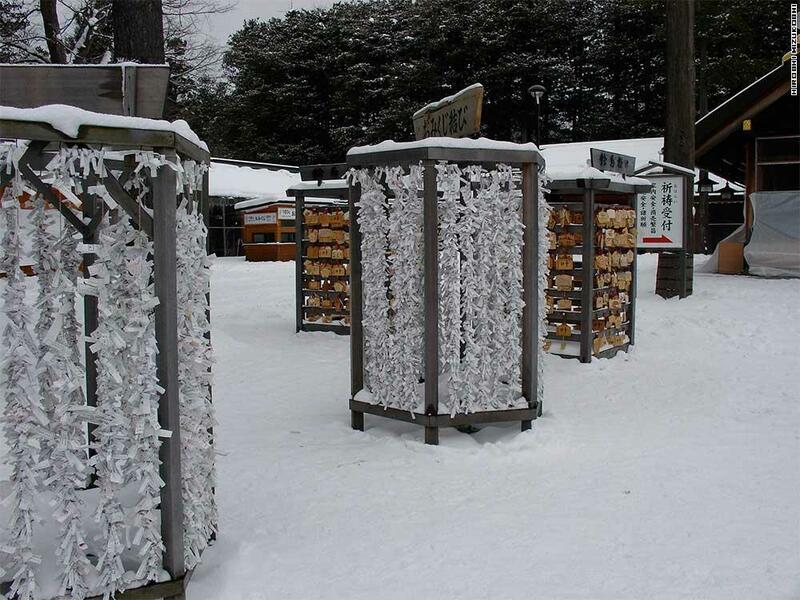 From the midnight of December 31st to New year January 1st, mega dozens of people go to Hokkaido Jingu. It takes more than 1 hour for people walking from the entrance to the main building. This happens every new year. Next to the Shrine, amateur baseball games take place here such as the high school baseball games. It has over 70 years-history so that many professional baseball games were held here before Sapporo Dome was built. Next to the Maruyama Baseball Stadium. In winter, you can play skating. There are rental equipments for skating. You’re already in the Maruyama Park! You were walking through the Park as you coming. There are many cherry blossoms and people have a ‘Hanami’ party in the early May. This is a small mountain climbing. It takes about 40 minutes to the top of the Mt.Maruyama. You have to prepare especially your shoes, trekking shoes or climbing shoes better. The area, ‘Maruyama Genshirin’ 円山原始林 is primeval forest. You can experience an untouched forest left in the urban city. Fashion, Foods, Interior, Books, ,Restaurants, 100 yen shop are there. Old-fashioned Japanese sweets, called ‘Wagashi’. Yoneya is one of the ‘shinise’, an old-established store in Sapporo. it’s worth visit.